HEWRAMAN, East Kurdistan, — The occupying powers of Kurdistan not have only deprived the Kurds of their very basic rights; but have also proved ruthless in dealing with the natural life and environments of Kurdistan. Iranian authorities have initiated Deriyan Dam Project in Hewraman in East Kurdistan. If this project is accomplished it would threaten the region’s environments destroying several historical villages, experts say. Over the last few years Iran has sought to cut the water flow to South Kurdistan, to which Iran pretends to have symbiotic relations. 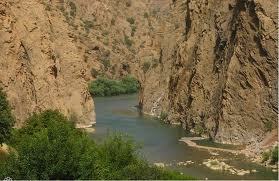 They want to achieve this by dam construction on the rivers flowing to South Kurdistan. Efforts to accomplish Deriyan Dam Project on Sirwan River had stopped for a while, but once again attempts are resumed to complete the construction, local sources said. In case of the completion of the project, the experts maintain, the natural life of the region and its environments would be threatened to a large extent. A number of villages in Hewraman that are listed in UNSKO’s historical record would be deluged and completely destroyed, the experts noted. The villages that would be destroyed by the overflow of water consist of Hecic, Dehreyan, Naw, Rehwar, Ebbasawa, and Slen.